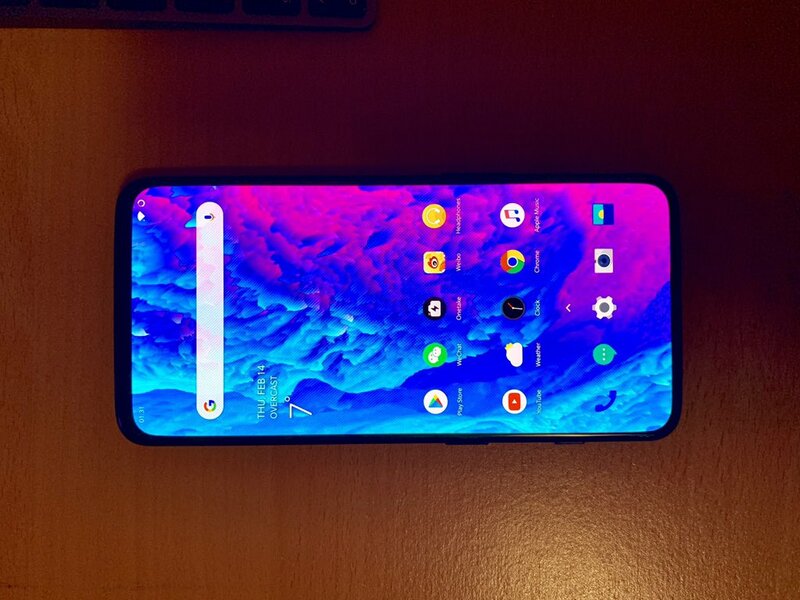 A new image of the OnePlus 7 has leaked online confirming previous leaks of a notch-less fullscreen display. We also do not see any punch-hole for the selfie camera indicating the possibility of a slider mechanism. However, the display orientation throws up a speculation as to whether or not OnePlus is building support for inverted displays into Oxygen OS. We are looking forward to at least three OnePlus phones this year. These include the expected OnePlus 7 and a possible 7T along with the special 5G phone. While the 5G OnePlus phone is more or less confirmed to be announced at MWC 2019 this month, details of the OnePlus 7 have been sparse so far. 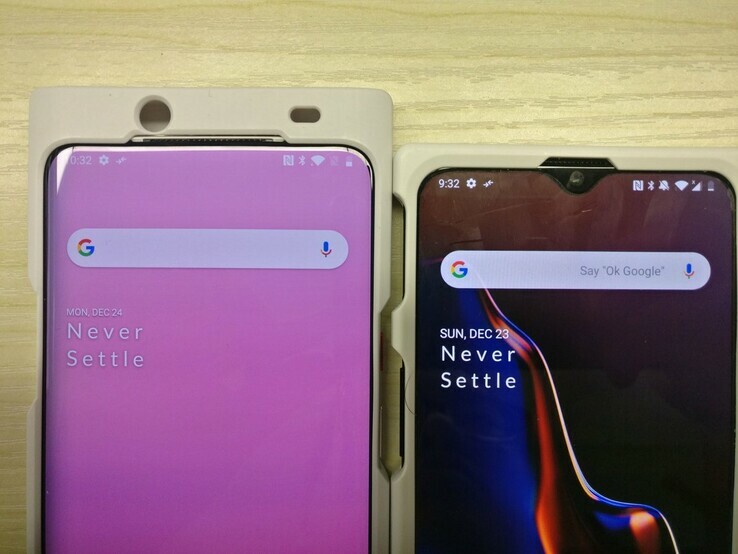 We did see a picture of the purported OnePlus 7 with a fullscreen display devoid of the notch doing the rounds online last month. Now, we are seeing another leak of what could indeed be the real device in action. The screen is almost bezel-less save for the slightly thick bottom chin and there are no signs of a notch or a punch-hole for the front-facing camera, confirming previous leaks. Therefore, the phone could very well sport a slider mechanism similar to the OPPO Find X. The power button, volume rocker, and the Alert slider can also be easily made out from the above image. For some reason, the new photo shows the homescreen of the OnePlus 7 inverted with the notification bar and system tray icons towards the bottom chin. At this point, we are not sure if this a bug in early builds of the ROM or whether OnePlus is adding support for inverted homescreens in Oxygen OS. Also, the spacing below the app dock and above the Google search bar in the image seem to be somewhat higher indicating that OnePlus is yet to optimize scaling for the new fullscreen design. The specifications of the OnePlus 7 are anybody's guess at the moment but the inclusion of the Snapdragon 855 SoC is more or less expected. However, the device will not have 5G connectivity and will focus on retaining the flagship-killer tag as was confirmed by OnePlus late last year.